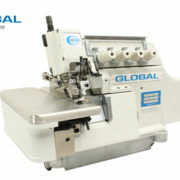 Global OVT 534-240 DD 4 Thread Top Feed Extra Heavy Duty overlock. 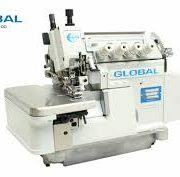 One of the main advantages of this machine is that it can take 20’s Bonded thread, eg thick decorative top stitch thread for upholstery & leather. 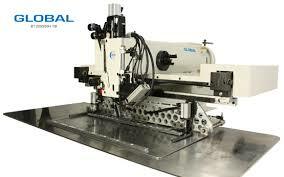 High-speed, single needle, drop feed machine with Standard alternating outside presser foot and large horizontal axis hook. 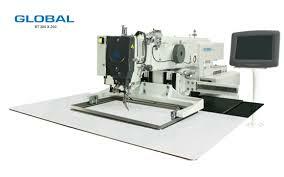 Equipped with thread trimmer and automatic back tack. 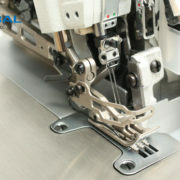 Presser foot lift is available as an option. 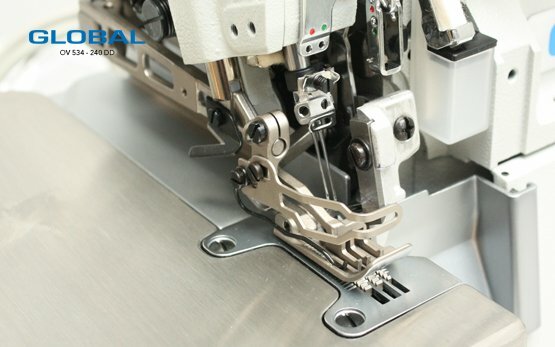 The bobbin winder is built-in the machine head.